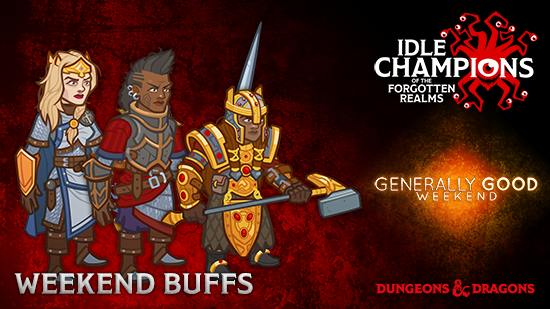 The following Champions will get a buff this weekend starting from today until Noon Pacific on Monday, March 12th. Feeling particularly selfish? Don't really care what others think? 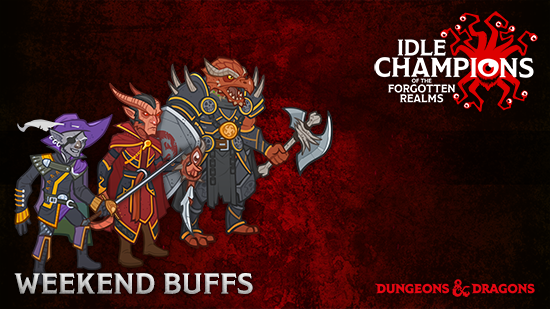 Perhaps an evil alignment is for you, just like these three champions! 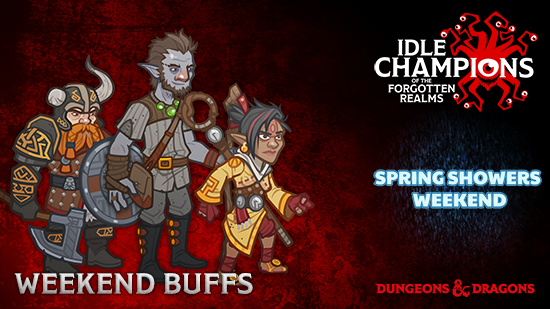 The following Champions will get a buff this weekend starting from today until Noon PST on Monday, March 5th. 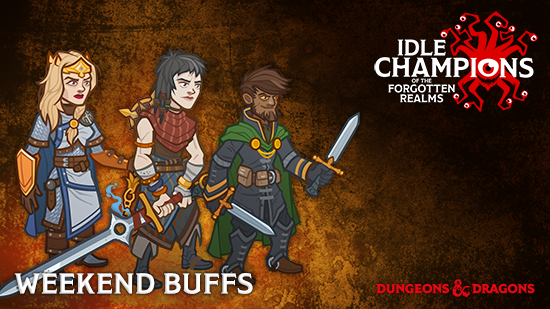 Check out these limited-time Evil Gold Chests that contain equipment for just the champions above! Tags: idle, champions, early, access, promo, weekend, wayside inn weekend, celeste, jamilah, hitch. 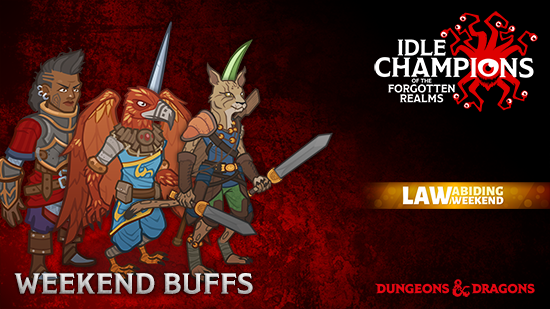 There are challenging new objectives starting at the Wayside Inn on the Grand Tour campaign! Perhaps these special buffs for Celeste, Jamilah, and Hitch will help! 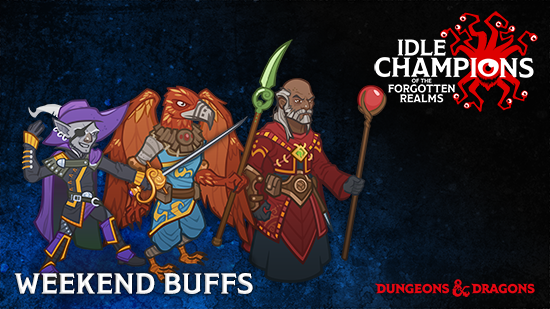 The following Champions will get a buff this weekend starting from today until Noon PST on Monday, January 22nd. 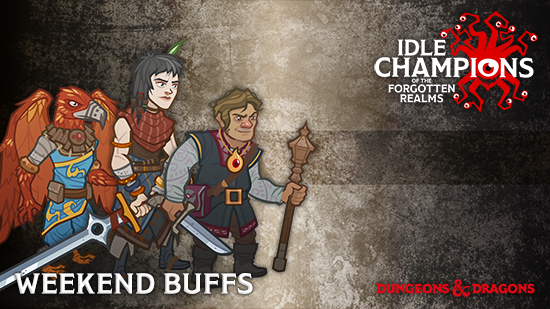 Check out these limited-time Gold Wayside Chests that contain equipment for just the champions above! 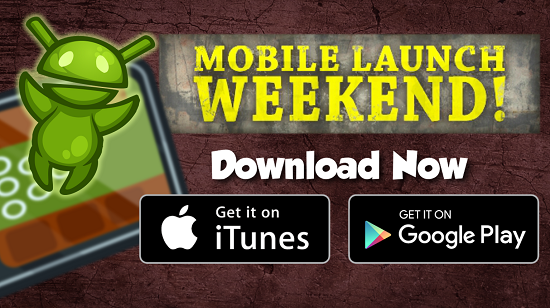 Tags: idle, champions, early, access, promo, weekend, grand chultian weekend, bruenor, minsc, drizzt. Having troubles with the new Tomb of Annihilation adventure variants? 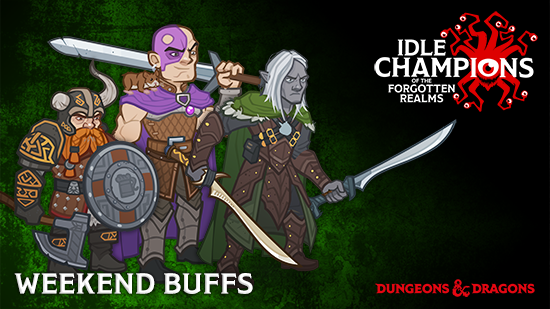 Perhaps these special buffs for Bruenor, Minsc, and Drizzt will help! 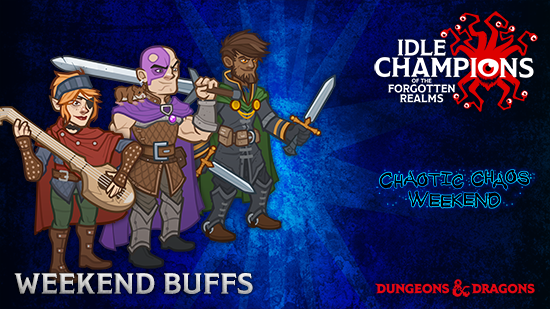 Check out these limited-time Chultian Gold Chests that contain equipment for just the champions above!